What a clever idea! 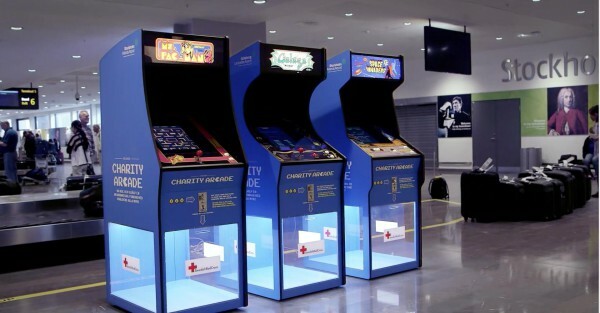 These Pacman arcade machines located at Stockholm Arlanda Airport and Göteborg Landvetter Airport allow you to play a game using any left over foreign currency coins from your trip. A brilliant way to get people to donate to charity, and a brilliant way to get rid of all of those foreign coins. Behind the project is Swedavia Swedish Airports and the Swedish Red Cross.